Specify whether you want to receive raw or mapped data based on your business needs. 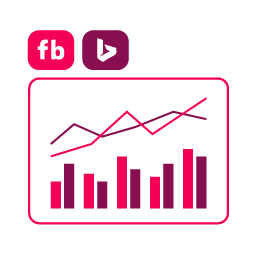 Once aggregated, side-by-side comparisons of important cross-channel metrics can be used to address some of your biggest business decisions. Set your rules and define how credit for sales and conversions is assigned to touchpoints in conversion paths. 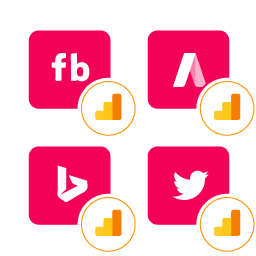 Google Analytics provides APIs to collect, configure, and report on user-interactions with your online content. Connect and manage all your marketing data sources in one platform in the cloud or on-premise. Improvado provides a set of connectors to more than 100 types of data sources and makes them connected in a few clicks. Connect multiple data sources and make them look like a single virtual database. You can use improvado.io data warehouse built on PostgreSQL or connect your own data warehouse. Improvado.io offer approach with data consolidation on the fly. Combine, map and normalise data to produce a comprehensive data set for your marketing activities. You can use it directly with your favourite Business Intelligence Tools, ingest it to econometric models, populate the enterprise data warehouse, manage your processes, or use it together with improvado.io mapping tool. 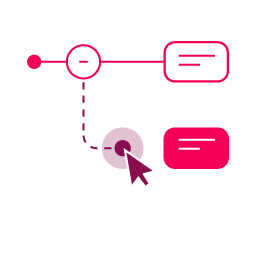 Companies like Havas, Dialect are starting with Improvado.io automated marketing data pipeline to empower their teams to be data-driven every day. Let us show you what Improvado.io can do for you.